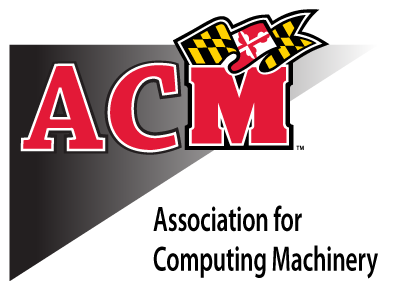 My name is Alvin Zhao, and I’m currently a senior here at UMD, serving the role of President in ACM. Before I attended UMD, I studied at George Mason University and was the secretary for their ACM chapter during my sophomore year. Therefore, I have firsthand experience of being an officer and running an academic club, and I understand the needs and obstacles that we face. I have always been heavily involved with ACM, including being qualified for ACM’s International Collegiate Programming Contest for several years. My ultimate goal as club president is to expand ACM into a social and collaborative environment where people can make lasting relationships with their peers, professors, and professional organizations.